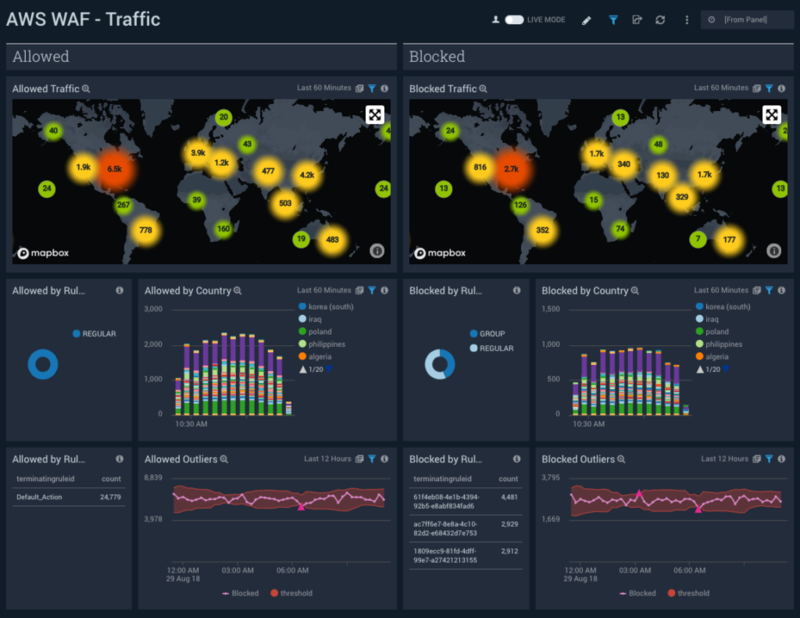 Out of the box dashboards deliver real-time data that enables your team to take action and spot unusual traffic patterns. Detect malicious clients and drill-down into threat specifics using advanced threat intelligence. 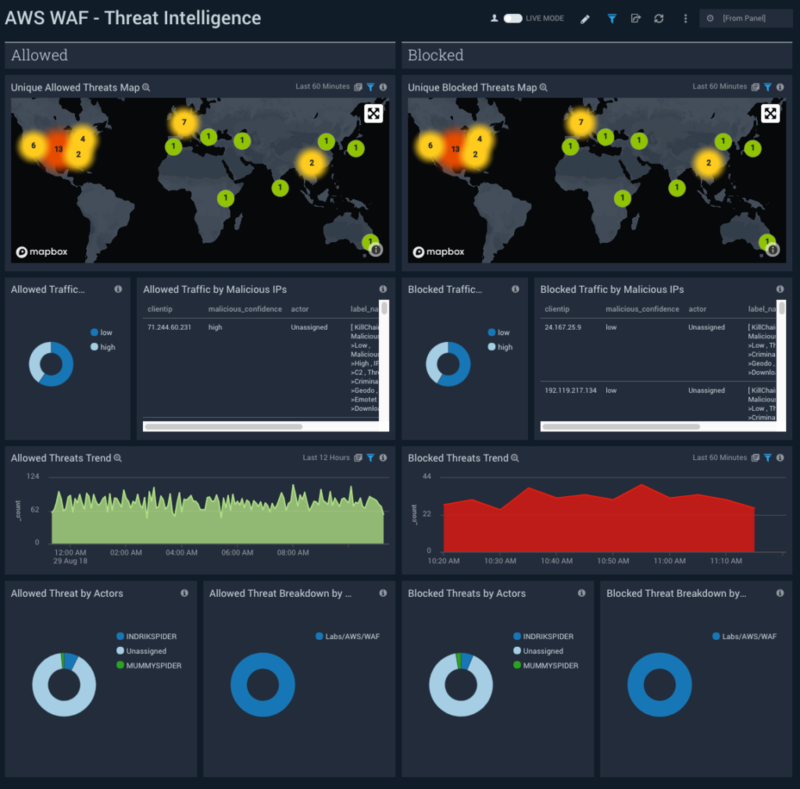 Dashboards enable your team to visualize WAF traffic data and identify where to dive deeper for further operational and security analysis. Searches enable you to alert and and find root causes. Empower your team to detect threats and drill-down into the specifics using advanced threat intelligence. Build alerts to escalate and communicate about malicious clients.